Samsung just launched the Galaxy A9 (2018) in India on Tuesday for a starting price tag of Rs 36,990. This price is for the base model of the phone which comes packed with 6GB of RAM. The A9 (2018) comes with four cameras on its back panel. To recall, the South Korean smartphone manufacturer recently also launched the Galaxy A7 (2018) with triple cameras on the back. Well, looks like that’s just not it. New reports now claim that Samsung is working on a six-camera smartphone, and it’s most likely the Galaxy S10. As of now, Samsung is yet to announce the launch timeline of the Galaxy S10, but rumours suggest that the phone could go official at Mobile World Congress 2019. To recall, the same happened with the S9 series of phones. The Galaxy S9 and the S9 Plus were unveiled at MWC 2018. And some weeks later Samsung launched both the phones in India. 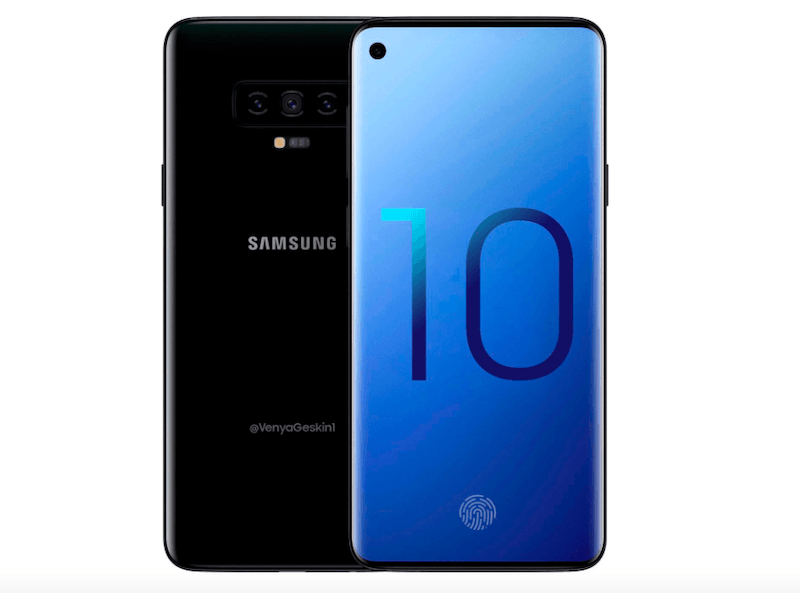 Ahead of the launch of the S10, rumours and leaks about the S10 are making rounds on the internet giving us a fair idea on how the phone could be like. The Galaxy S9 wasn’t a major upgrade over the S8, but that’s not going to be the case with the Galaxy S10. For the S10, Samsung is prepping a whole lot of new things. Some rumours suggest that with the S10 Samsung could finally bring the in-display fingerprint to its S series. The S10 will be Samsungs 10th-anniversary edition, and Samsung is leaving no stone unturned to make it special and different. So far, rumours have said that the Galaxy S10 will come in four different variants including — 5G support, in-display fingerprint scanner, under-screen camera, among others. But now, a new report coming from The Wall Street Journal — which is definitely more reliable than the other rumours circulation on the internet – states that S10 will indeed be as exciting as rumoured. The WSJ confirms that Samsung will be launching the Galaxy S10 in three models in February. The report suggests that the base model of the S10 will sport a 5.8-inch display, while the top-end model will come packed with a 6.4-inch screen. In addition these three models, the report suggests that there will be the fourth variant as well. The fourth model of the phone will come with 5G support and will be the most expensive S10 model. Unlike other variants, the 5G model of S10 is said to go official a few months later. The WSJ report affirms that the S10 5G model will come with a much bigger screen compared to the other three models. It is said to sport a 6.7-inch display. Apart from the big display, another highlight of this S10 model will be the six camera setup it is said to pack. The 5G model of the S10 will reportedly sport two cameras on the front and four on the back. The Samsung Galaxy S20 will probably have 10 cameras at the back, and 10 cameras on the screen.